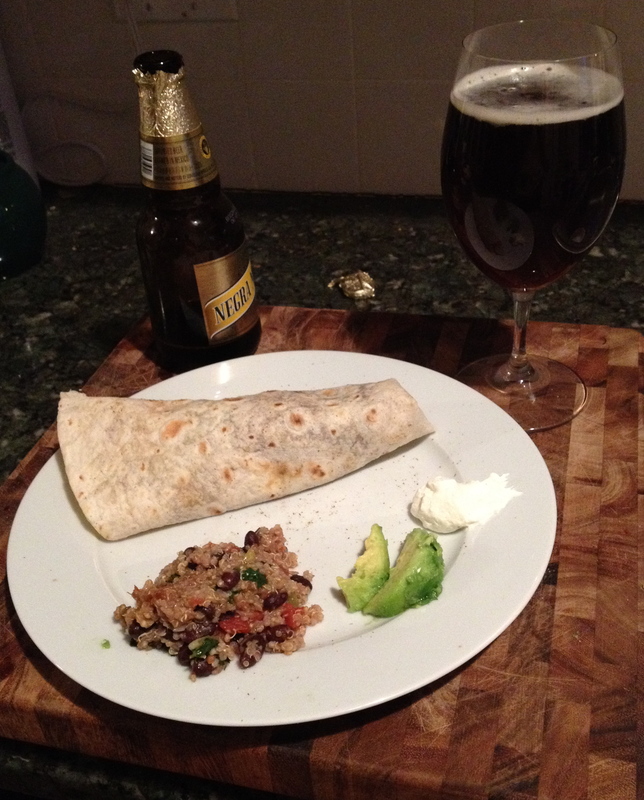 Tortilla with quinoa, freshly sliced avocado, and sour cream. And a glass of Negra Modelo to wash it all down. iDelicioso!